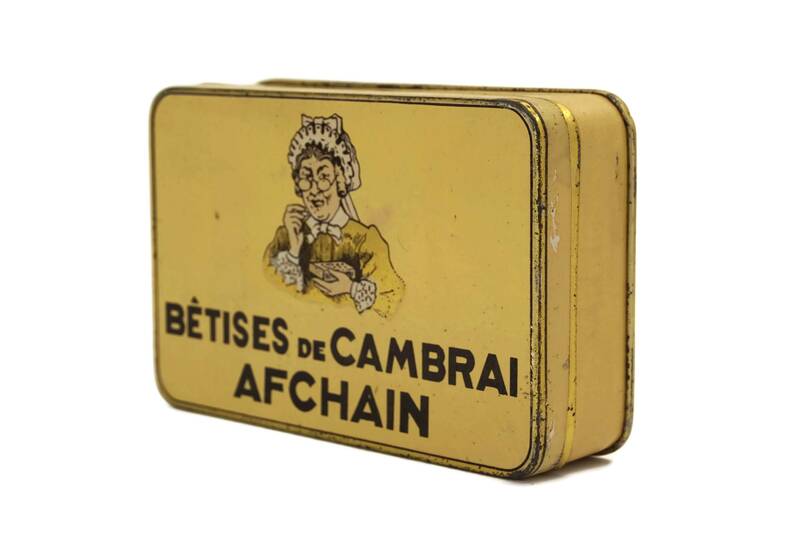 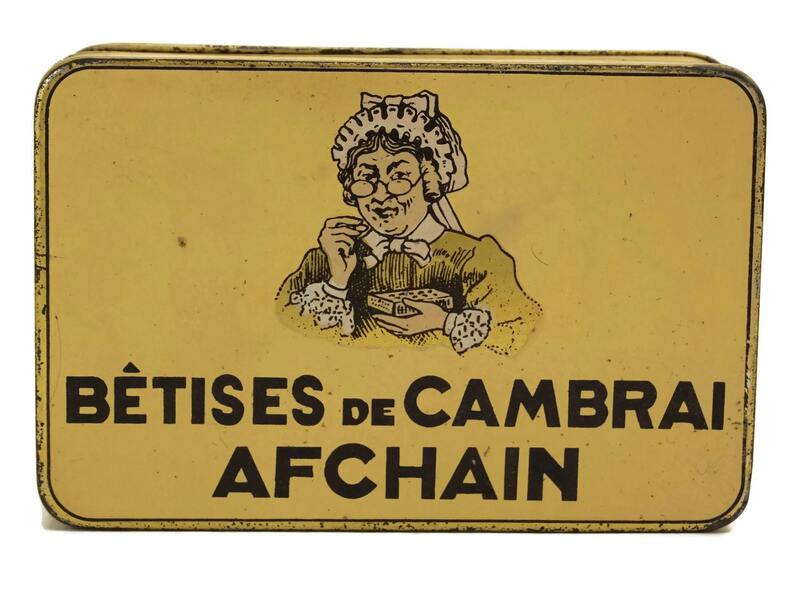 A charming antique French candy box for the famous brand of sweets "Betises de Cambrai". 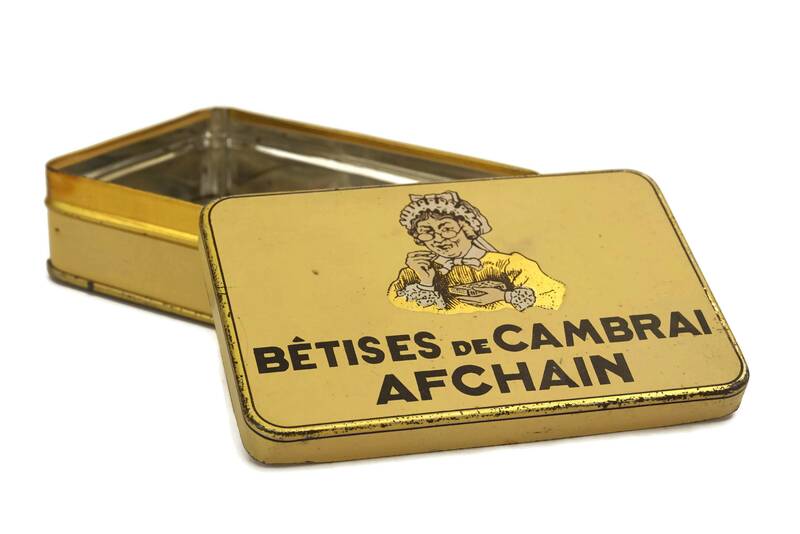 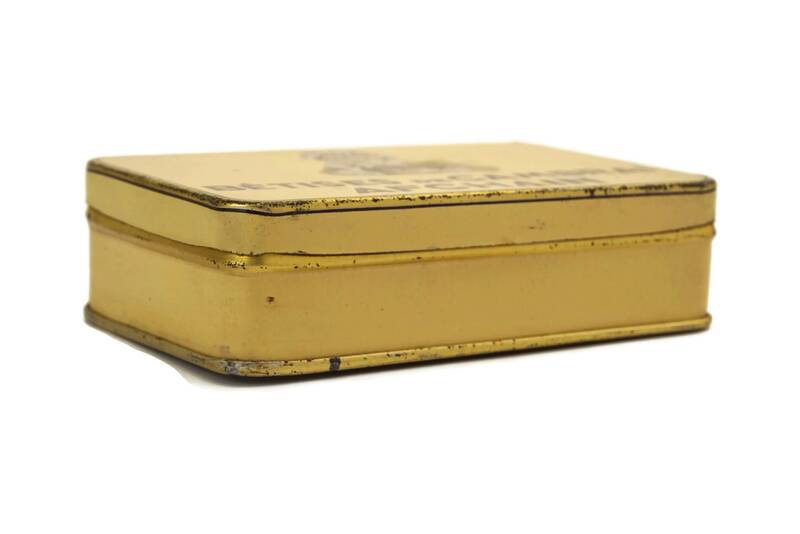 The lithographed tin box has been decorated in shades of beige and black with gold accents and features advertising for the Afchain sweet and candy company. 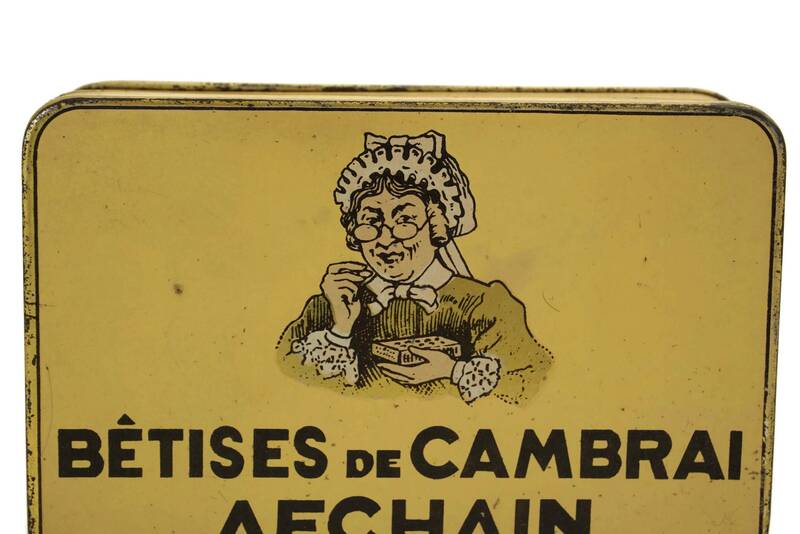 The lid has been decorated with an illustration of an old French lady. 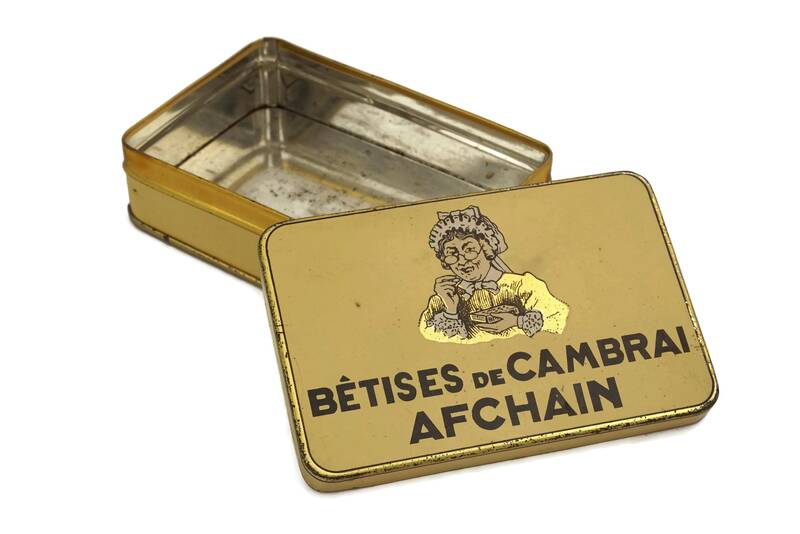 (10 cm x 3 cm x 7 cm). 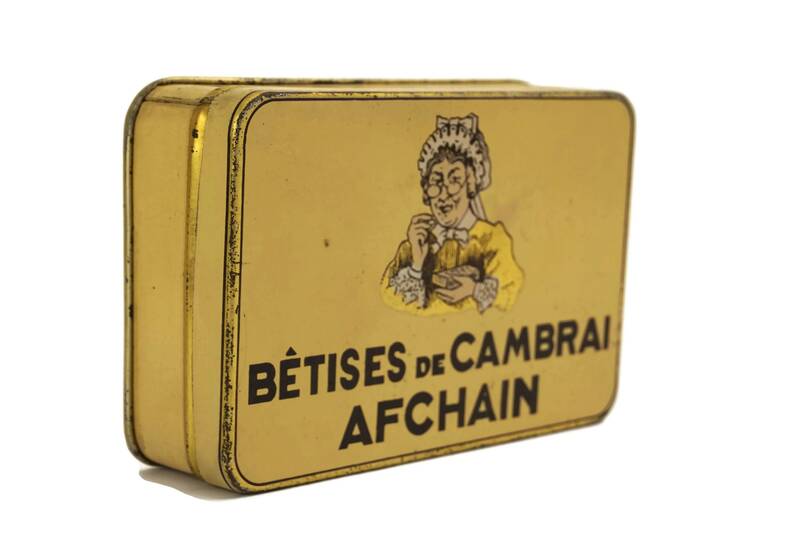 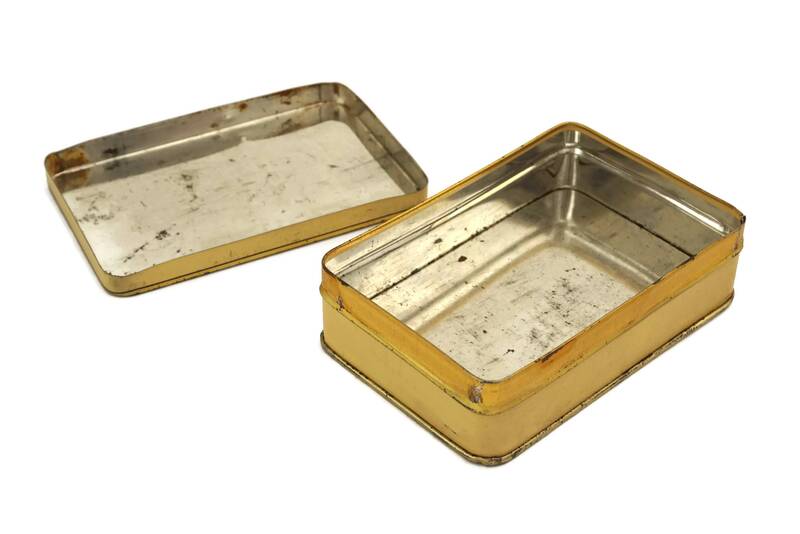 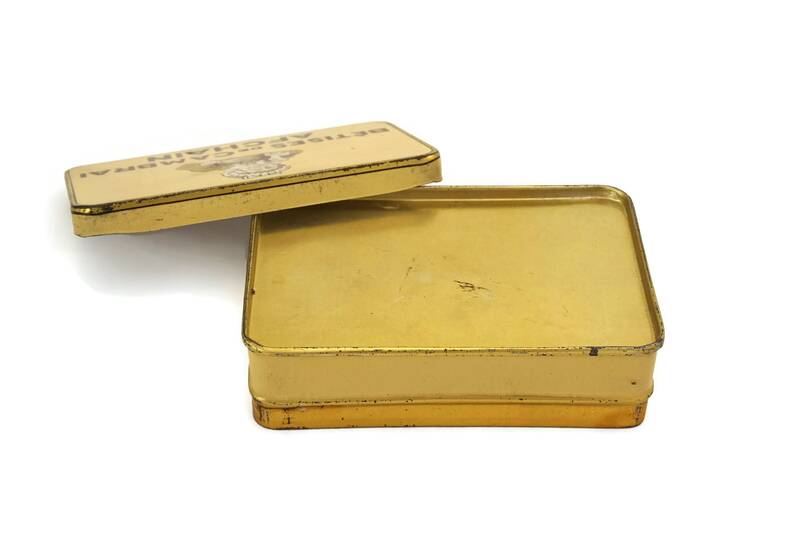 The French candy box is in good condition with signs of age including surface wear, marks and scratches.